Akshay Kumar's Padman, also starring Radhika Apte and Sonam Kapoor, is the latest in his array of socially-relevant films. Last year, in 2017, Kumar's major releases — Jolly LLB 2 and Toilet: Ek Prem Katha — echoed the tunes of patriotism and social welfare. Hence, it was not a surprise when the makers decided to release the film on the eve of Republic Day (26 January) in 2019, along with Neeraj Pandey's Aiyaary starring Manoj Bajpayee, Sidharth Malhotra. Kumar's character in the film is based on Tamil Nadu activist Arunachalam Muruganantham. 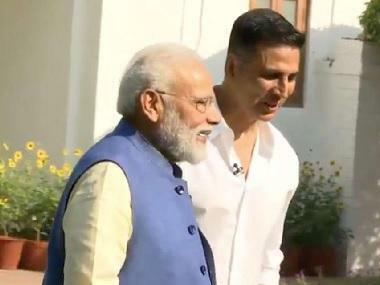 The Khiladi star will now be seen on a mission to eradicate health issues pertaining to menstrual hygiene by providing low-cost sanitary pads to rural Indian women. Apte plays the role of Kumar's wife in the film, while Kapoor will be seen in the role of an activist/ social worker who works with Kumar in his noble endeavour. Padman, the film, is an adaptation of a short story written by Twinkle Khanna in her second book The Legend of Lakshmi Prasad. Directed by R Balki, the film is jointly produced by Kumar's Grazing Goat Pictures, Twinkle Khanna's Mrs Funnybones Films and Balki, Gauri Shinde's Hope Productions.